Growing up in Southeast Louisiana I was surrounded by people knocking on wood, throwing salt over their shoulder, warning of seven years bad luck for breaking a mirror, not letting a black cat cross your path, or threatening to put a Gris Gris (pronounced GREE GREE) on you if you didn’t do what you were told. I can not make this stuff up… superstitious much? 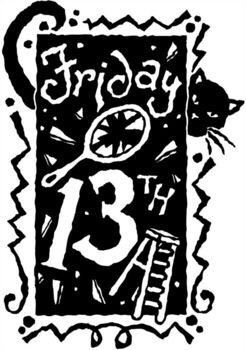 Did you know that women are more prone to the paranoia of superstition? Now that I have kids of my own, it is quite fun to scare them or tell them old wives tales to put them on edge. Horrible Mother here, I know… don’t judge. Rather than gradually being disproved over time, our faith in superstitious beliefs is stronger than ever. Previous Post I AM number 40!